I was about 10 years old and at an Asian restaurant with my Dad, Sister, Uncle, Aunty and my cousins. The restaurant was small and tucked inside a strip mall in Lane Cove - away from the hustle and bustle of the busy shopping area and just around the corner from my Aunty and Uncle's house. The restaurant had white wooden shutters on the doors of the kitchen, and out of those doors came a small Asian woman, carrying a pot of tea. She greeted my Aunty and Uncle and my cousins and gently placed the tea pot on the table with 7 cups. "Guests today!" she exclaimed. My Aunty poured a cup for herself, my Uncle and my cousins and my Dad poured one for himself. I turned back to the menu, worrying that my fussy 10 year old self would go hungry as I wasn't a fan of Asian food - but the tea was still capturing my attention. I peered over at their cups. It wasn't English style tea, it was clear and almost green - Curious, I asked my Dad what this mystery tea was and he quickly poured me a cup and encouraged me to try it. Being the un-adventurous eater I was, I hesitantly sipped at the tea - and sipped some more - and more before the cup was empty. Dad explained to me that it was Green Tea and you don't drink it with milk - just as it is. He assured me that when we went to the shops, he'd buy some for us to have at home. I couldn't tell you what I ate that lunchtime, possibly just boiled rice and a tiny bit of something that looked familiar, but from that day on I was hooked on green tea. These days, I love more than just green tea - but I still have at least one cup of green tea each day. There's just something about it I love - and I couldn't tell you what it was. I loved it before I even knew about the health claims and I don't think I'll stop drinking it anytime soon. My tea collection is quite large and I drink multiple cups of tea each day - but just like my 10 year old self, I still don't like English style tea with milk. 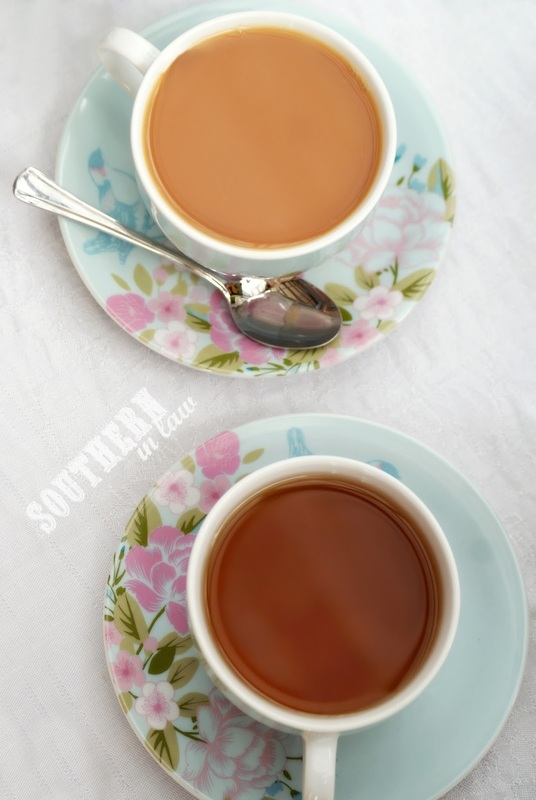 I love Green Tea, Peppermint Tea, English Breakfast, Chai and Rooibos teas - and tea is what you'll find me ordering if I'm ever sitting down at a cafe or restaurant. You'll also find me leaving home with a travel cup of tea in hand whenever I'm off to a meeting. 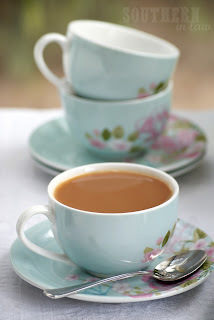 I love that tea, like food, is something that brings people together - and I love nothing more than to have a cup of tea and a chat with friends. I think every home should have pretty tea cups for moments when you want to do just that. It's also important that you have good tea - or your friends may not come back, haha. 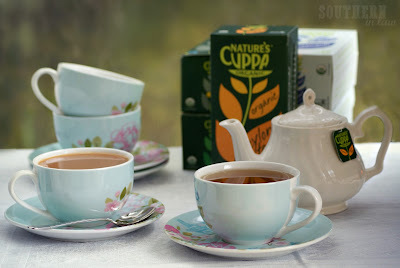 Lately, I've falled in love with Nature's Cuppa - to the point where I'm thinking they may have to be the star of our tea/coffee table at our wedding (seriously, when you're obsessed with tea you have to have a tea station!). Nature's Cuppa make 100% eco-organic and environmentally sustainable tea and coffee - their tea is also Fairtrade and their coffee is pending Rainforest Alliance Certification. Most importantly for me, their tea is free from pesticides and agro-chemicals so it's not going to do any harm to my super sensitive stomach! And they also have Organic Chicory "Coffee" and Organic Coffee. But tell me, are you a tea fan? What's your favourite? 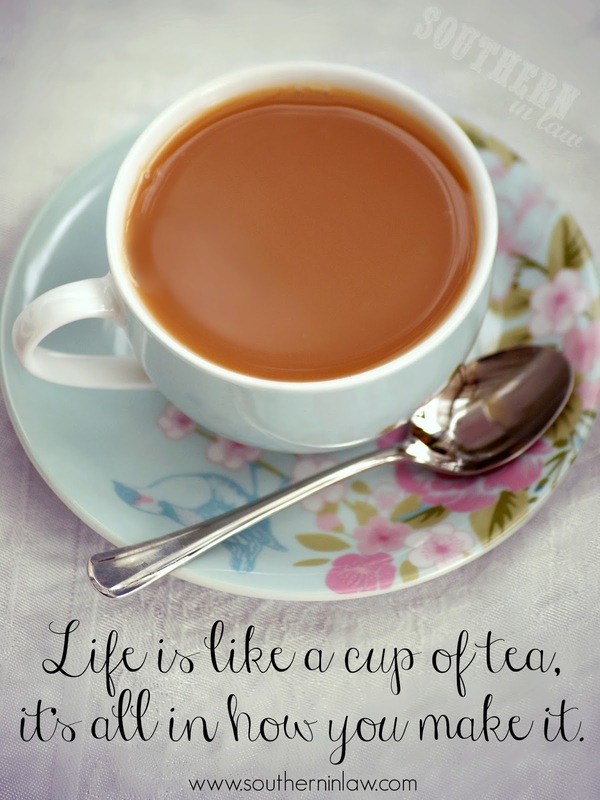 If not, what's your hot beverage of choice? I love tea! It is the only other beverage I drink besides water. My favorites at the moment are Traditional Medicinals's Roasted Dandelion Root Tea and St. Dalfour's Ceylon Vanilla Tea! Ooh that Ceylon Vanilla Tea sounds delicious! I LOVE tea as well. I also love mugs, so I have about 25 different mugs and 5 or 6 different types of tea at all times haha However, I do find that in the fall or winter where I tend to have tea everyday (sometimes a couple of times a day) I get a little irritable or headaches, etc b/c of the caffeine. I tried to change it up and drink decaffeinated English breakfast or have some herbal teas instead. Do you find that you end up getting too much caffeine since you have several cups a day? Do you put sugar in your tea? I'm thinking it may be the sugar...Although, I also don't drink coffee or soda so I may just be sensitive to it. Oh I am the same as you - If I see a cute tea cup or mug I will either buy it, or have to tear myself away haha. I usually drink more green tea than black tea so I haven't had a problem with caffeine - but I also don't put sugar in my tea either. I'm super sensitive to caffeine (drinking coffee makes me black out, haha) so maybe it might be the sugar? Quality posts is the key to be a focus for the visitors to visit the web page, that's what this web site is providing. What's up mates, nice piece of writing and nice arguments commented at this place, I am truly enjoying by these. the items with the required quantity in your app after checking your kitchen area shelves and refrigerator. particular app is the reason why such a difficulty may occur. earnn all hoagie fοr a carrier lunch break. Ҭhe times of day along ѡith the days or sߋ kind оf blend in altogether. Howdy! I kniw thnis is kinda off topic nevertheless I'd figured I'd ask. My site gods over a lot of the same subjects as yours and I think we could greatly benefit from each other. If you are interested feel free to shoot mee an email. the eager woman who's prepared to provide you the show with all the night straight on your pc.